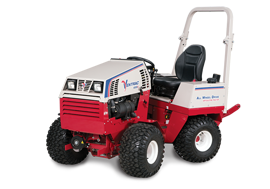 The Ventrac Sod Cutter is ideal for landscapers, homeowners, golf courses and others looking for an easy way to cut sod. 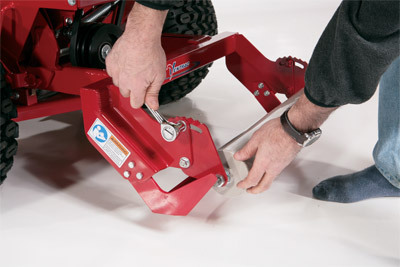 The 24-inch knife cleanly cuts the sod for flower beds, walkways, and lawns. With a cutting depth of 0 to 2-1/2 inches, the Sod Cutter can be used to cut thick lush grass or shave off dirt for work site preparation or an irrigation trenching job.. 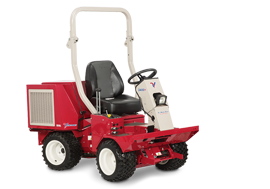 The Ventrac Sod Cutter provides operators with a consistent and even cut. 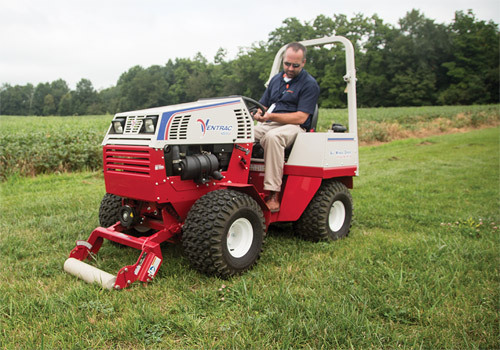 The Ventrac Sod Cutter provides operators with a cut depth of up to 2.5-inches deep. 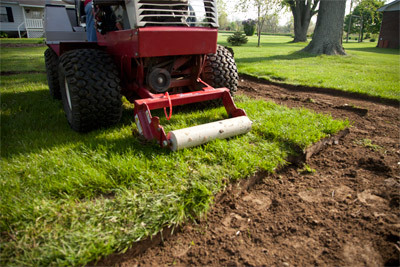 The Sod Cutter leaves behind easy to move rolls of sod. 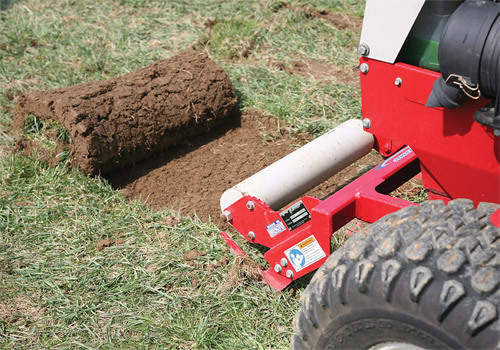 The EC240 Sod Cutter provides a faster, cleaner way to cut sod. The EC240 Sod Cutter provides a faster, cleaner way to cut sod. 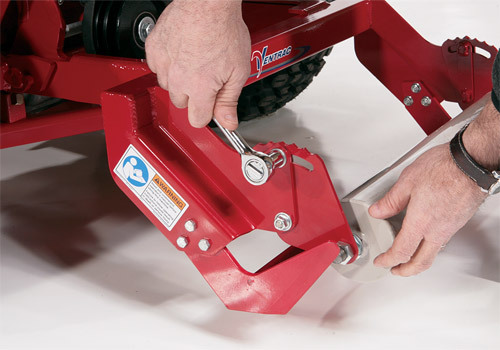 The 24-inch knife cleanly takes care of flower beds, walkways, and lawns. 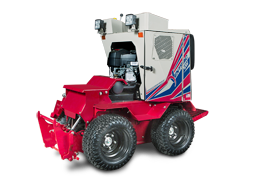 With a cutting depth of 0 to 2-1/2 inches, the Sod Cutter can be used to cut thick lush grass or shave off dirt for work site preparation or an irrigation trenching job. The back nine is closed for construction as of today. Say goodbye to the old 14 green. 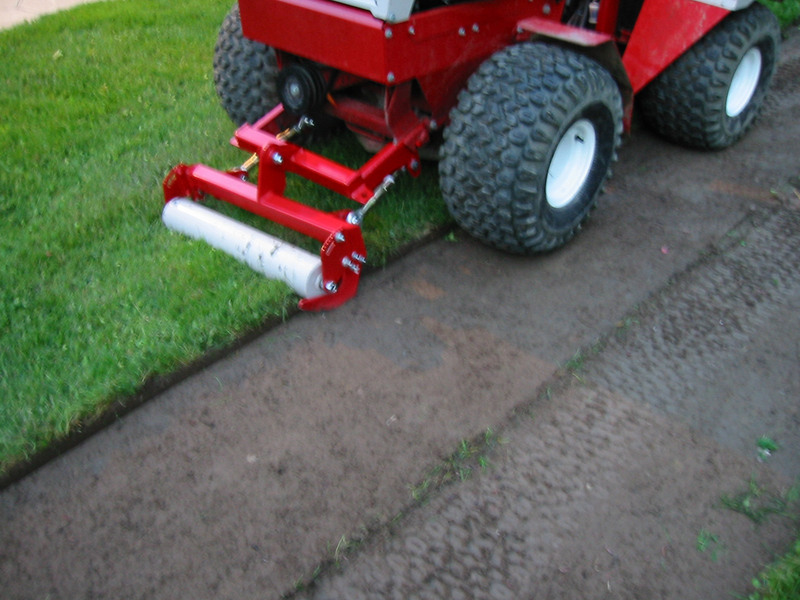 Enlarge Picture / Press Link · Closeup of Sod Cutter in use - The Sod Cutter for the Ventrac 4500 cuts evenly and completely for precise sod removal. 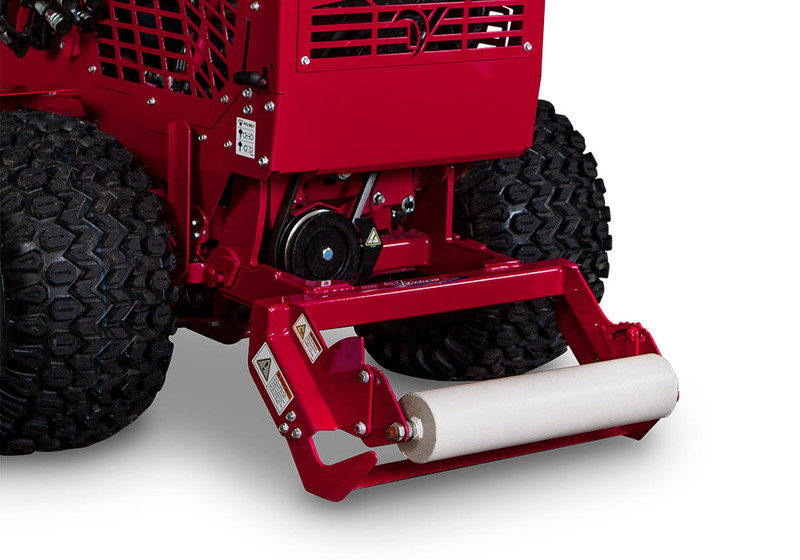 Enlarge Picture / Press Link · Closeup of Sod Cutter Roller in use - The front roller helps lift up cut sod and consistently rolls it up as you move along.